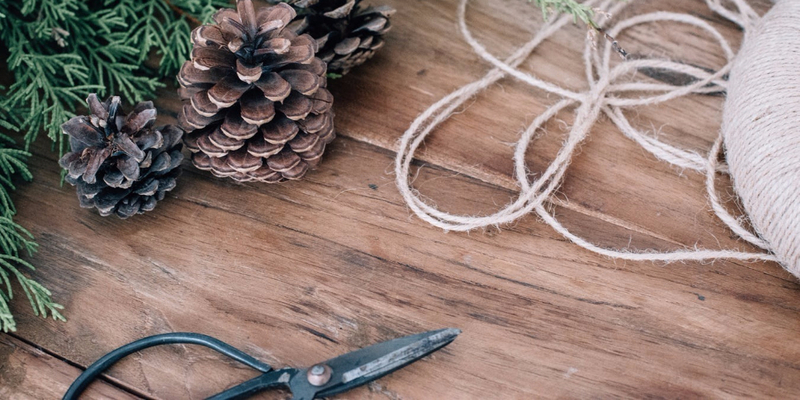 The holiday season can be one of the most profitable times of a year for businesses. People have their wallets open and they are ready to buy thanks to a combination of end-of-year bonuses, the generous gift-giving spirit, and some of the best sales of the year. For businesses it is a time of profit, but also competition because everyone knows this is a time when customers are ready to spend. You can give yourself a competitive advantage with the right social media marketing campaigns, especially when it comes to Facebook advertising. 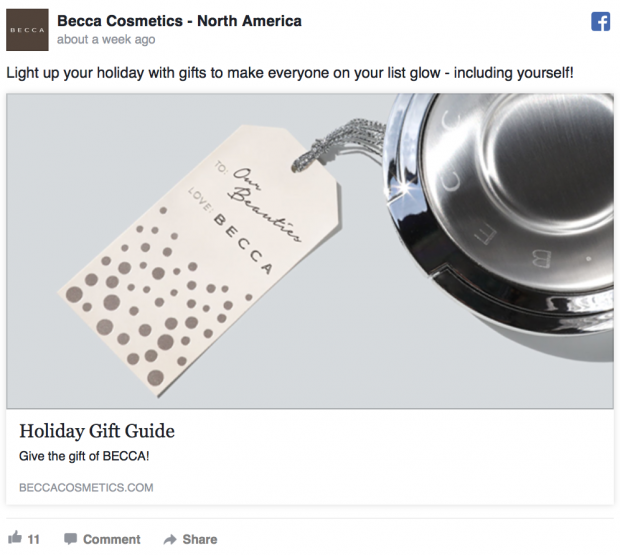 In this post, we’ll go over six tips to create holiday ads that convert on Facebook, setting you apart from the competition. 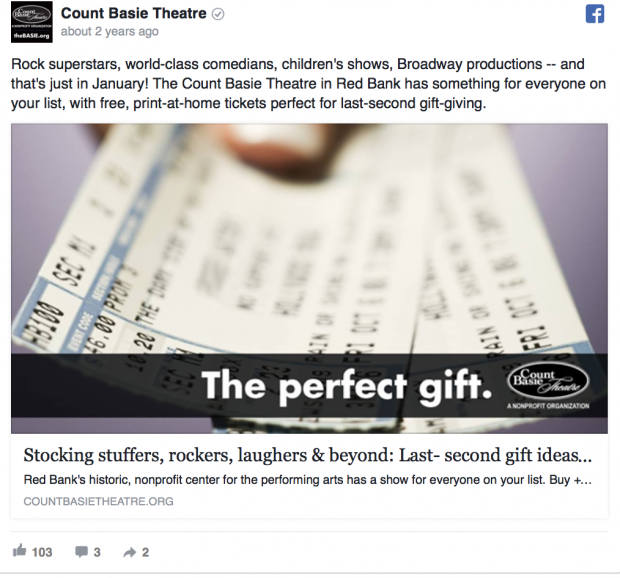 Even though each holiday is lumped into the “holiday season,” you want to create ads for each individual event within said season. 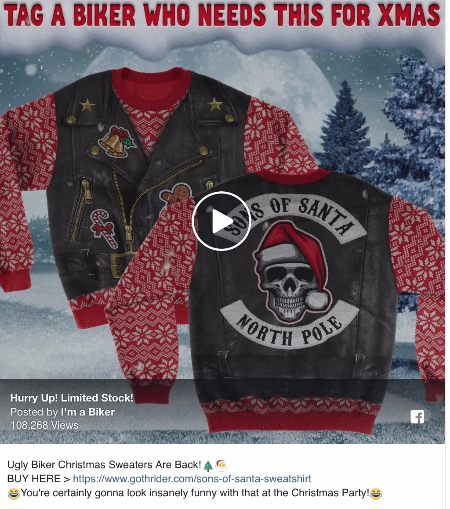 Black Friday and Cyber Monday, for example, should each have their own unique sets of ads. Even if you’re using the same images and offers, switching up the copy to be event-specific will help you increase conversion rates. “Get three months half off for Black Friday” sounds a lot better than “Get three months half off, just sign up by next week.” It increases urgency, and when users are creating lists of what they want to blow their budget on, you want to be on that list. 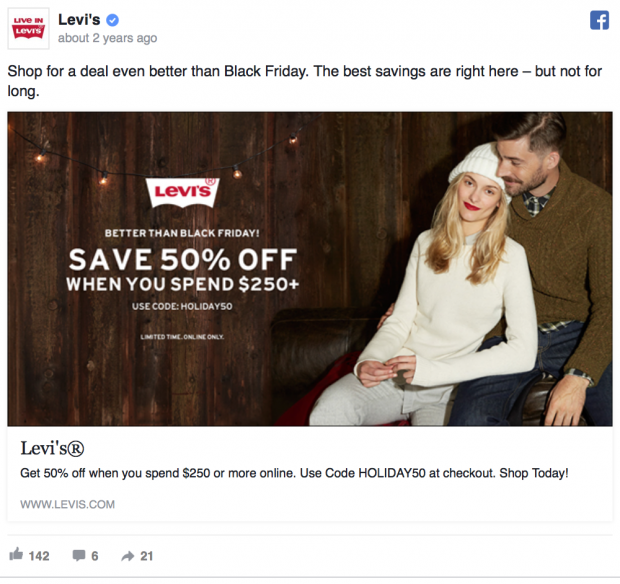 When advertising sales after Black Friday, make sure users know they’re still getting a good deal. It’s still the gift-giving season, after all, and the idea of getting just as good of a deal after Black Friday can be intoxicating. Everyone loves the gift giving season, but the pressure surrounding it… not so much. Still, brands can use this to their advantage by creating a sense of urgency. Urgency always sells, and it can be especially effective around the holidays. Retargeting allows you to reach out to customers who you know are already interested in what you have to offer, and that’s a particularly big advantage come the holidays. One strategy you can use to increase sales is to utilize segmented lists based on purchase history. Show customers the products and services you know that they’re most likely to be interested in. For example, Verizon’s best bet would be to show apple headphones only to users who had purchased iPhones for example; Android users should be shown something else. 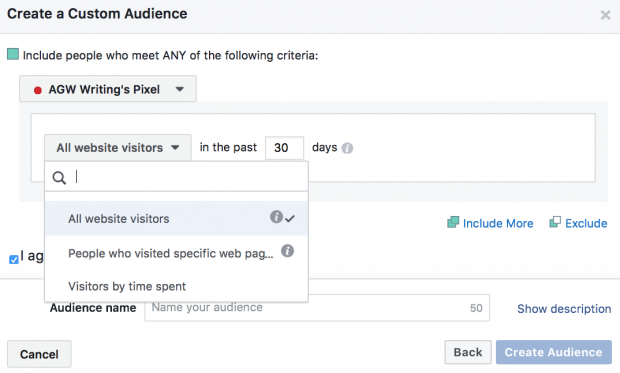 Perhaps the most effective holiday retargeting strategy is to focus on website retargeting, where you create custom audiences based off users who have visited your site within a set time frame. Why? Because it may not be your normal customers buying from you this time of year—it may be their friends or family purchasing them a gift. 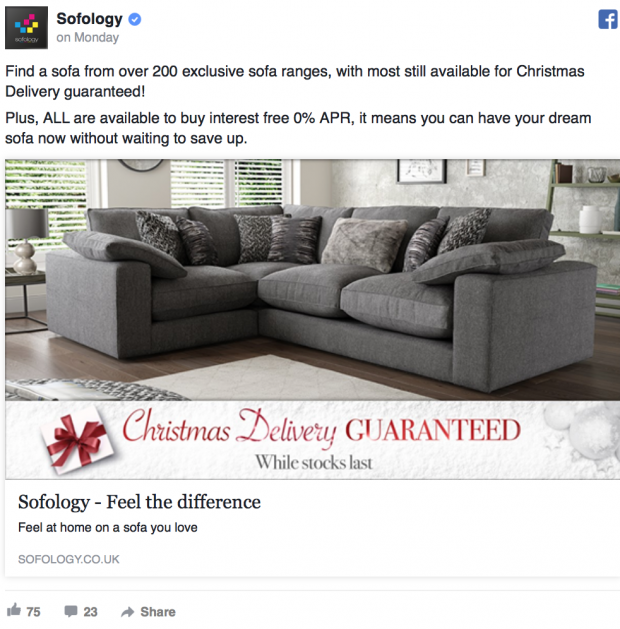 Retargeting ads to keep showing the product to individuals doing gift research can help you boost sales this time of year. 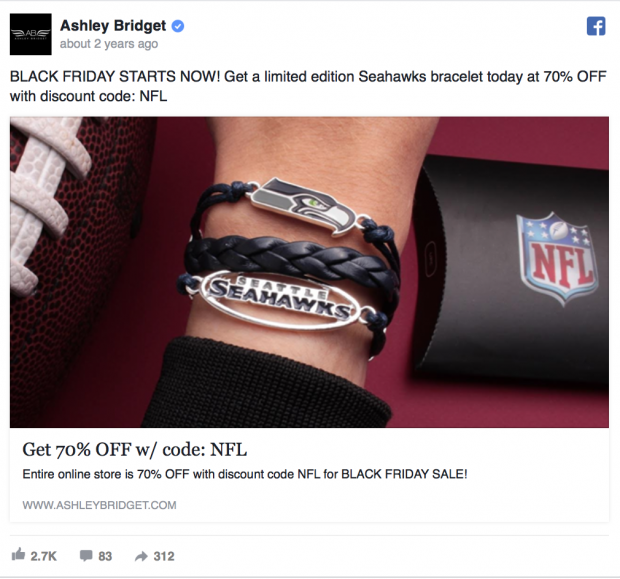 The holiday season is the time to sell, and brand awareness or social engagement campaigns should take a back seat to actually getting sales and traffic to your store—whether it’s online or a physical location. All of your ads should contain links. Just as importantly, you should be choosing the right ad objectives. Facebook’s algorithms take your objectives into heavy consideration when distributing your ads, and they’ll show the ads to the people they believe most likely to fulfill your stated objective. When I was worked in a jewelry store several years back, we were told to push these $20 necklaces that people weren’t typically interested in when buying $600 pieces. Then I realized by saying “they’re perfect stocking stuffers,” I went from selling about four a day to nearly 50. Phrases like “the perfect gift” and “wait until you see their face light up when they open it” will make customers consider your products as gifts, even if they wouldn’t have otherwise. Make your copy holiday-specific. In a weird way, it’s like giving customers another use case for your product. It isn’t just a new set of headphones; it’s a stocking stuffer. That new watch isn’t just a watch—you’ll wow them when they open this gift under the tree. It’s easy to forget to check in how your ads are performing, especially if they’re running on a set schedule and you have a million other things to handle before the end of the year. Still, this task must not be overlooked. Pause any campaigns that aren’t performing well in an ad set, and allocate that budget to a campaign that’s working. This will help increase sales while lowering your cost per click (CPC) and giving you the best possible ROI. This year I was hired to tackle inconsistent ad campaigns for a client, and we paused the campaigns costing $7.95 a click and moved the budget to the campaign costing just under $1.50 per click. With the increased budget and a few small changes to improve the ad’s targeting, we ended up getting the CPC down to $0.31. This strategy is particularly powerful during the holidays, when you have a limited time to get results. 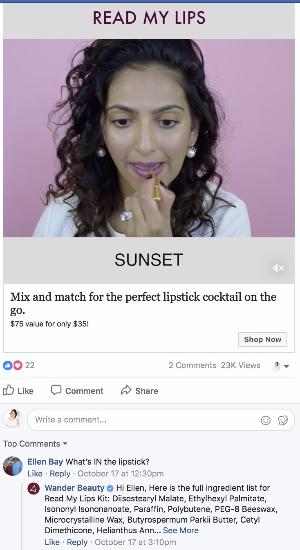 You should also keep a close eye on the engagement your ads are getting. Potential customers in a time-crunch may ask a question on your ad, and move on if they don’t get an answer. Address any questions to increase the likelihood of conversions, and to show would-be customers that you’re engaged and attentive to their needs. The end-of-year sales season is your chance to finish the year strong. Customers are ready to buy and you want to make sure they buy from you. 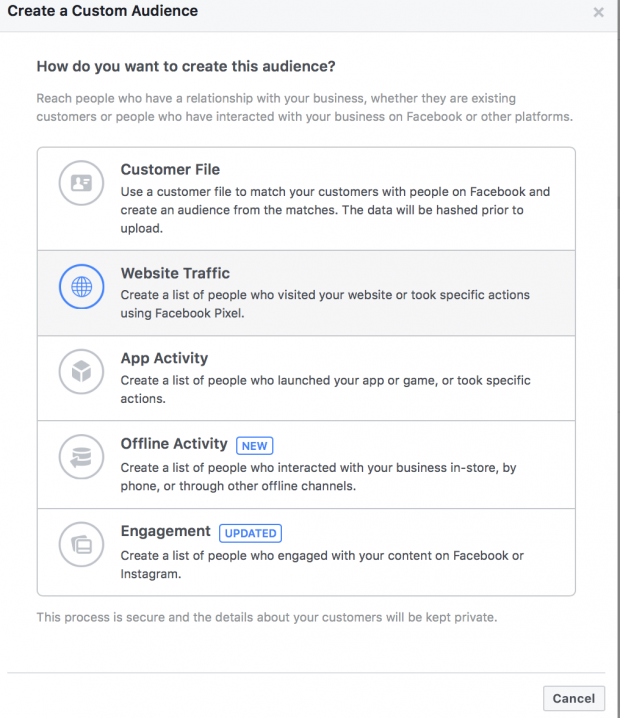 By creating strong Facebook ad campaigns, you’ll be able to set yourself apart and put your products and services in front of a highly engaged, ready-to-purchase audience. Get the most out of your Facebook ad budget with AdEspresso by Hootsuite. 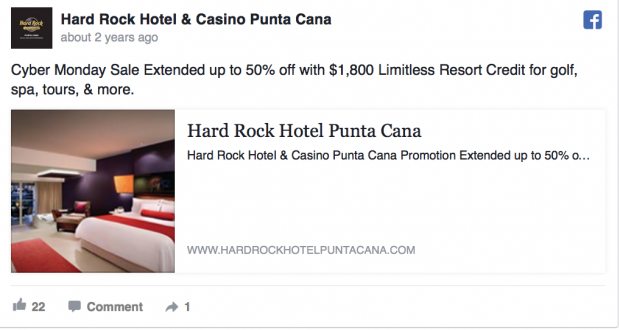 The powerful tool makes it easy to create, manage, and optimize your Facebook ad campaigns.